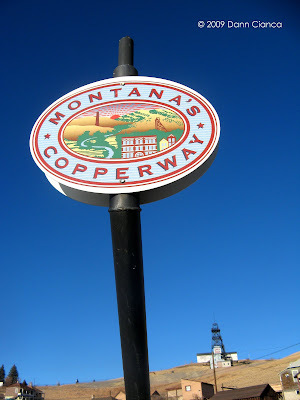 While on holiday in Montana, on December 28th, I took a walk with my parents along Butte's relatively new walking trail, the Copperway. The photos below were all taken along the trail. 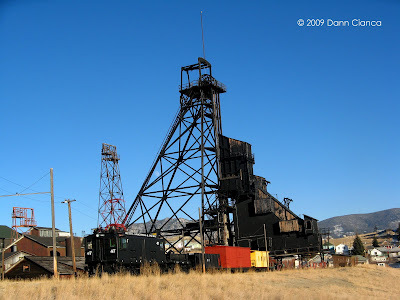 Signage for the Copperway and the Mountain Con(solidated) Headframe in the background. The Original (Mine) Headrame overlooking Butte. 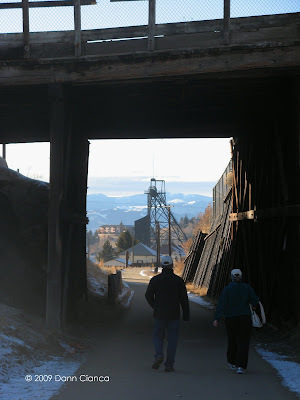 My father and mother walking through the tunnel under North Montana Street, the Anselmo Headframe in the distance. 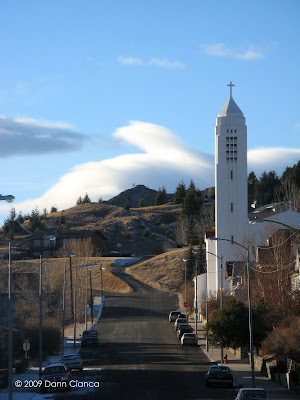 West down Caledonia Street, the Immaculate Conception (IC) Church and some nice turbulent wave cloud action. 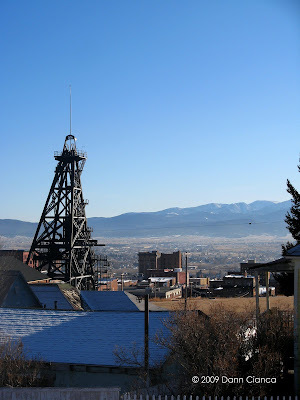 The Orphan Girl Headframe at the World Museum Of Mining. 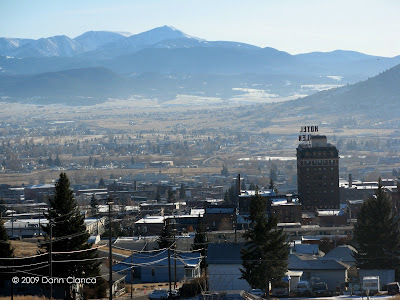 Distant: Pintler Mountains right to left, Mount Haggin, Short Peak, and Mount Evans. 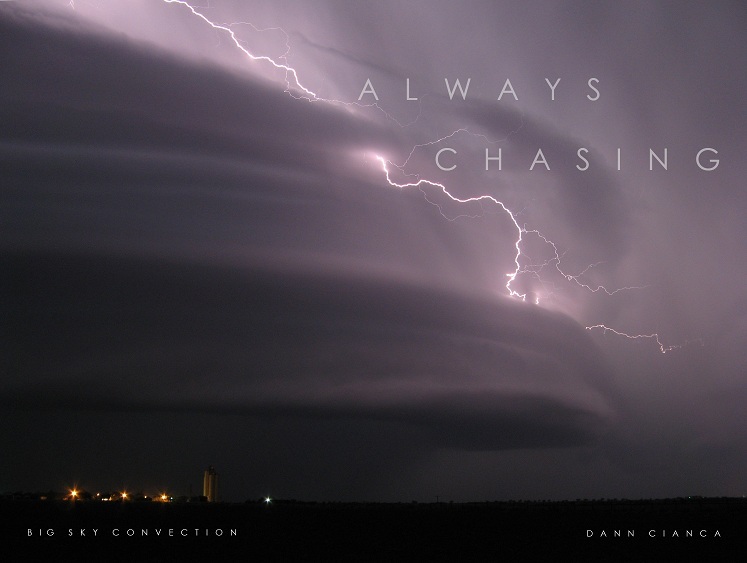 Also, nice turbulent clouds. All in all, it was a nice day for a walk. We were just above the inversion and enjoyed temperatures at or around 30ºF, which isn't all that bad in full sun. Notice, though, the lack of snow. It's been a dry winter in Southwest Montana so far. Thanks for posting these nice photos. I just walked this trail last week and have been searching the Web for more info and pictures. 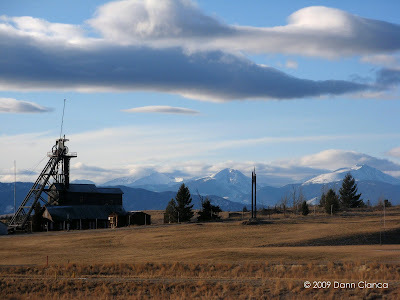 I love Butte and visit regularly from Livingston, MT. It is always nice to see someone else enjoying a town I love. Thanks for your comment, Lynn. 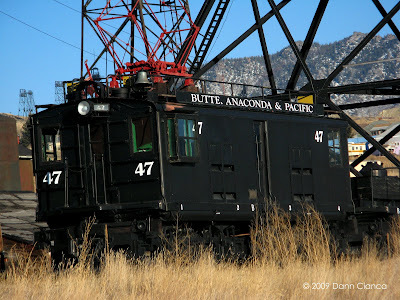 I'm originally from Butte and currently reside in Colorado, but I love going back to visit friends and family. There is certainly a lot of history there.